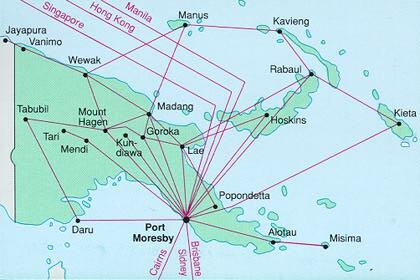 From the Trans Nugini Tours site, the following links provide a few maps of Papua New Guinea. Embassy of Papua New Guinea, Washington, D.C. This is the official website of the Embassy of Papua New Guinea to the Americas in Washington, DC. Here you can learn all you ever wanted to know about PNG, visa and passport info, travel and tourism, business and economy, and Embassy services. The official website of the Papua New Guinea Tourism Promotion Authority contains a wealth of information on a variety of subjects including accommodation, provinces, travel visas, culture, adventure, diving and fishing. 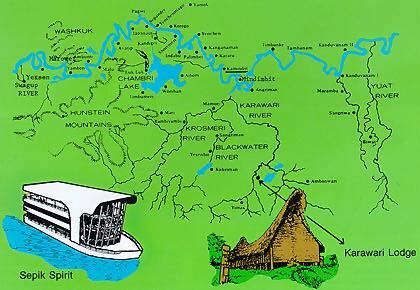 Papua New Guinea Online site offers a brief overview of the climate of Papua New Guinea. 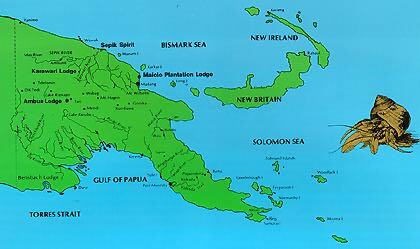 ABC Country book houses statistical information for Papua New Guinea. Yahoo! is an online navigational guide to the Web and is a database of links to other sites. Yahoo! Weather is brought to you by Weathernews inc. Weathernews is the largest provider of weather information and forecasts in the world. They have over 45 years of experience. Their graphics are the finest available anywhere, and their forecasts cover the globe. For eye-pleasing, accurate, on-line weather, count on the industry leader, Weathernews.